Hey guys! 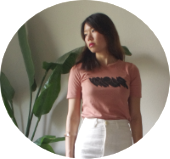 I'm super excited to announce this collaboration between one of my favorite Houston boutiques, Settlement Goods, and the hip, eco-conscious jewelry line, Dirty Librarian Chains! Known for her beautiful upcycled statement necklaces, Susan Domelsmith of Dirty Librarian Chains has made a name for herself through creating sustainable jewelry with a lasting impression. In an exclusive collaboration between DLC and Houston's own, Settlement Goods, the Lava Necklace is an introduction to a unique workshop that will be held at Settlement Goods in Spring 2013 featuring a special appearance by the designer. 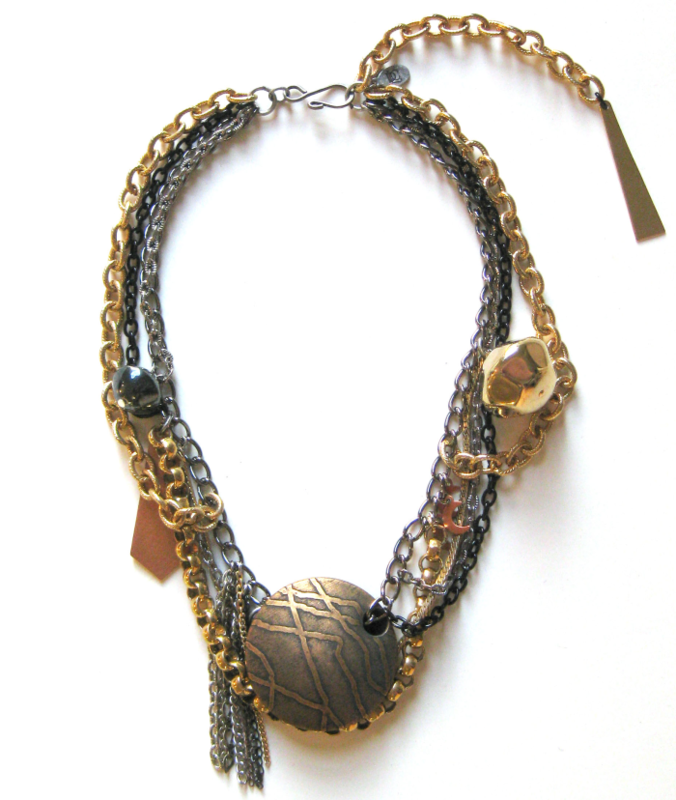 Each necklace is made by Susan in her Brooklyn studio using vintage components from the 1960's to the 1980's. Ironically, some of the beads, chains, and charms in the creation of the Lava Necklace are sourced from a U.S.-based jewelry factory that has closed as a result of the increasing overseas movement of mass market production. Susan finds value in these rescued materials and has brilliantly developed this limited edition piece. The dramatic convertible necklace can be worn as a choker with a chain drop down the back or as a longer drape-style necklace. 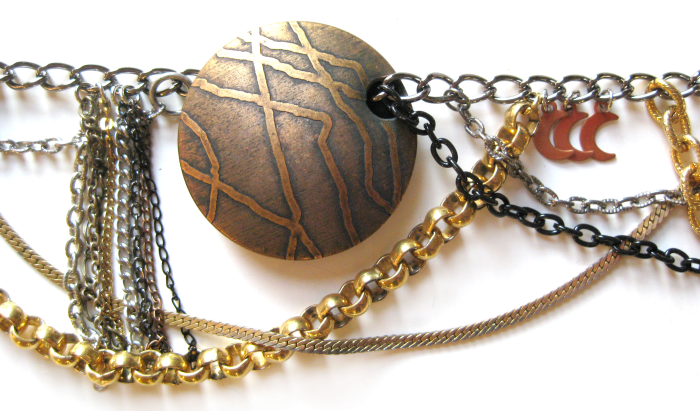 The bold brass disc draws the eye in with its aged patina and asymmetric relief detail and is strung by an eclectic mix of chains in silver, gold, and black enamel. The charm accents bring balance to the complex piece and even add a hint of whimsy. The Lava Necklace comes just in time for the holidays (available at the store starting tomorrow to be exact) and makes the perfect gift for that special someone. Stop by Settlement Goods to see the piece up close or just to try it on. I can already see the necklace paired with a simple tunic top, leggings, and ankle boots. If you're looking to create your own conversation piece, Settlement Goods will be hosting a workshop in the Spring of 2013 with DLC designer, Susan Domelsmith, who will rework your vintage and heirloom pieces into one-of-a-kind jewelry. The workshop will be a great opportunity to design a personalized gift for Valentine's Day or a wedding. Date and details to come! To learn more about Susan Domelsmith and her work, check out Dirty Librarian Chains. 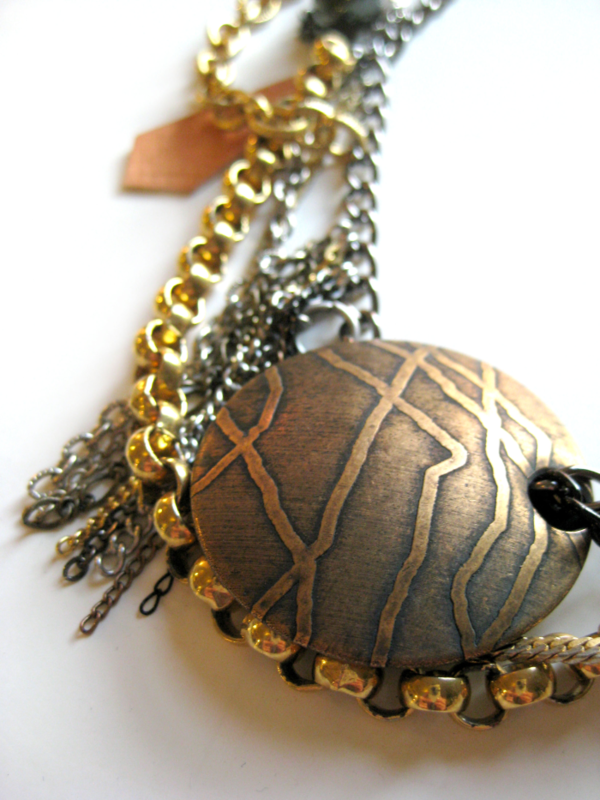 Beautiful necklace...love the colors very earthy.